Madeleine Albright, fformer U.S. Secretary of State, delivered a rousing speech at the United Nations that praised the gains of women around the globe. The Beast reprinted the text of the speech on the occasion of her reception of the Inspiration Award from the Dag Hammarskjöld Fund for Journalists. Here is a brief excerpt from that speech, featured by The Daily Beast, “founded in 2008 as the vision of Tina Brown and IAC Chairman Barry Diller. Curated to avoid information overload, the site is dedicated to breaking news and sharp commentary. It regularly attracts more than 15 million unique online visitors a month. It is updated seven days per week, 24 hours per day. Deidre Depke is the managing director of The Daily Beast. John Avlon is the executive editor. To read the complete speech and check out other resources, please click here. Thank you, I am delighted to be here and honored to receive the Inspiration Award today. I would also like to take a moment to honor Edie and Evelyn—their names conjure many thoughts: trailblazers, masters of the UN stakeout, reporters of courage and integrity, and friends. Thank you for all you have done here at the United Nations, and for women around the world. To begin, I would like to congratulate all of you on your support of the Dag Hammerskjold Fund for Journalists. During the past half century, the fund has not only served as a living memorial to the second Secretary-General, but it has also provided journalists from developing countries with the funds, education, and community necessary to expand their expertise in covering foreign policy. I am quite pleased to return today to a place I once called home. I have a special affection for the United Nations and those who serve its mission. In that regard, I can think of no better example than Secretary General Dag Hammarskjöld. Secretary General Hammarskjöld’s career spanned over three decades, and in that time his convictions helped to shape the procedures and tactics that are now critical to the UN’s mission. He cast the mold for how a Secretary General could and should affect events by exhibiting great leadership during an extraordinarily difficult time. He was the most selfless of diplomats, and I believe his legacy is suitably honored by the Fund for Journalists. Despite some sparring with members of the profession during my career, I must confess that one of my earliest ambitions was to become a journalist. While studying at Wellesley, I hoped to pursue a career that reflected both my interests in journalism and world affairs. But I was also in love and planned to get married right after graduation, which I did. Unfortunately, my new husband happened to work for the same newspaper in Chicago that I aspired to write for, which led to a complication. I did go home, but I didn’t forget a thing. To read the complete speech, please click here. 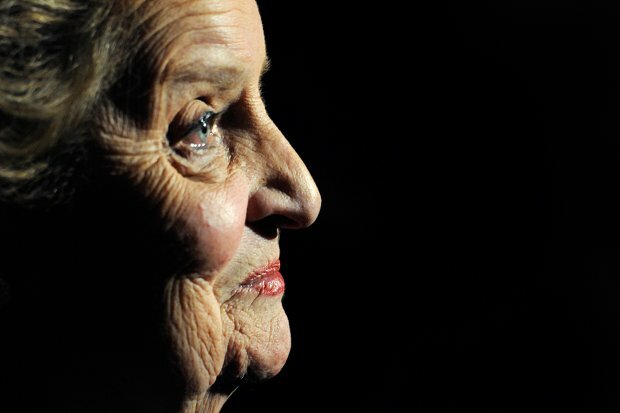 To learn more about Madeleine Albright, please click here.